The drugs are working! I’m insanely happy—even when I’m ironing. So far, I’ve ironed everything in the house—including my husband! Consider that this is before the Beatles, and those screamers are about 70 now. 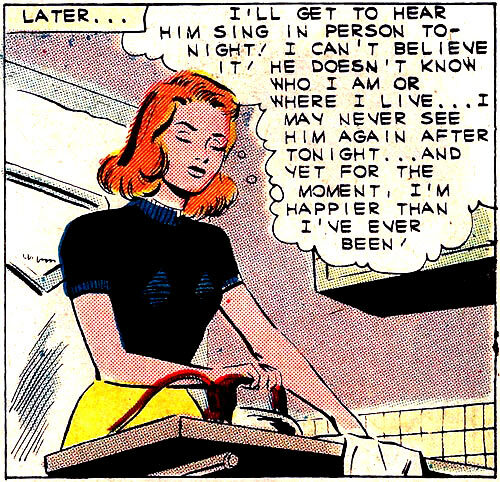 She has the hots for Perry Como? Elvis Presley no doubt. Or, as my dad used to call him: Elvis the Pelvis.